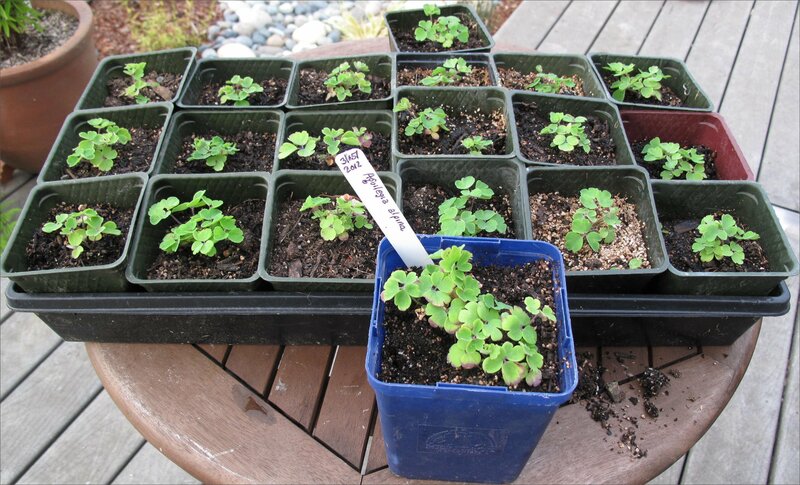 These Aqulegia alpina seedlings were started on March 15, 2012 and probably won’t bloom this year. This European native hails from the Swiss Alps and Norther Apennines. My seed came from J.L. Hudson, Seedsman of La Honda, CA. This species deep blue flowers rivals any hybrid cultivar. 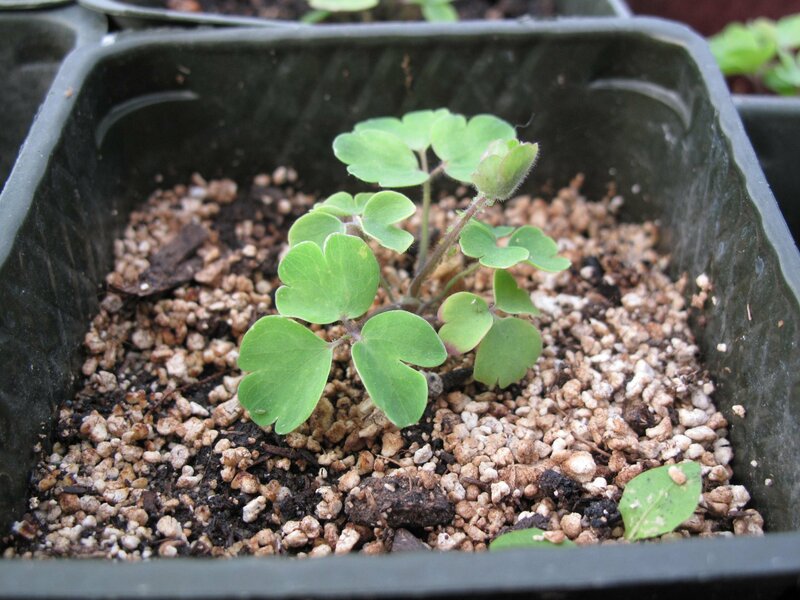 Since the genus Aquilegia readily re-seeds itself, the possibility of nearby seedlings self-hybridizing into different shades exists, especially if you have other Aquilegia species and cultivars nearby. 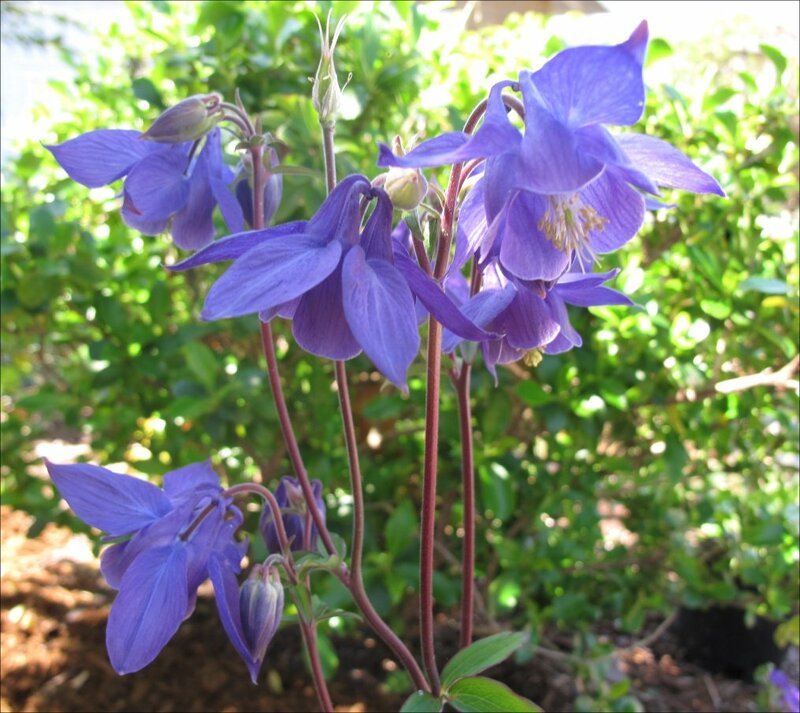 If you want to preserve the true-blue species try to keep a clump far away from other columbines. For example, our Washington native columbine, Aquilegia formosa, which tends to reddish pink, will be happy to oblige! Aquilegia alpina is endemic to the European Alps extending into central Italy and is found in Austria, France, Italy, Liechtenstein and Switzerland. The IUCN reports that In France it is on the national list of protected plant species and can be found in protected habitats (Parc Nationaux de Vanoise, Mercantour, Ecrins, Forets Domaniales, that it has regional protection and is partially included in protected areas in Italy; that it is classed as “near threatened” in Austria and protected in Voralberg; is also “near threatened” in Switzerland and protected nationally, and finally In Liechtenstein it is protected and listed as endangered. This entry was posted in Alpines and tagged Alpine columbine, Ancolie des Alpes, Aquilegia alpina, Aquilegia formosa, columbine, red columbine, sitka columbine by Bart Arenson. Bookmark the permalink.